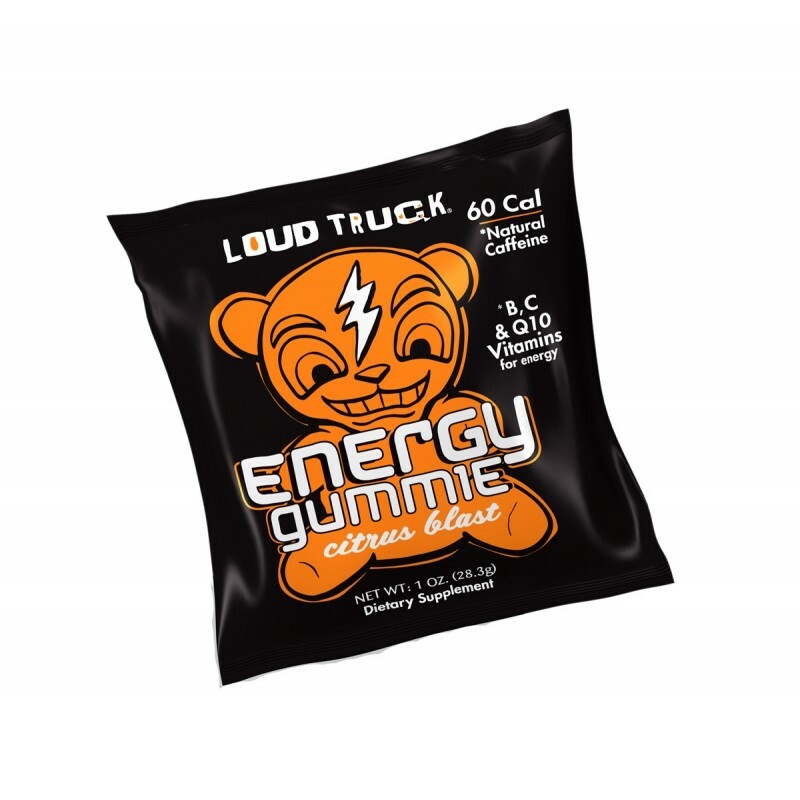 Take an average citrus flavored gummi bear, pump it full of caffeine, taurine, and vitamins... and you've got a Loud Truck Energy Gummi. These energy gummies are delicious and each package has got you covered when it comes to Vitamin C (375%!! ), Vitamin B6 (100%), and Vitamin B12 (50%). The gummies are a great fat-free way to get a smooth, crash-free energy boost. These have a mild taste and are chewy without any weird aftertastes. These Gummy\'s are great . I usually play golf in the morning and what is great about these is I can pack them in my golf bag and get a buzz on the golf course while buzzing around in my golf cart . A few caddy\'s asked what i was eating and i told them Loud Truck Gummy\'s . They were a bit hesitant to try them until i gave them a pack and said tell me what you think of them after your done with hole 14 . They came back said & i quote \" These are great where you get them \" . I told them to place an order with ChemicalEvolution . Alright so Even on the golf course these give you a burst of energy just like a shot of Nos gives your sports car a burst of speed . Excellent buy and i will buy more . The smell and flavour isn't particularly citrus-y, it's honestly more reminiscent of Red Bull. They're fairly effective and don't have a bitter caffeine aftertaste, so I would certainly recommend them. They are Gummi-Bear shaped.